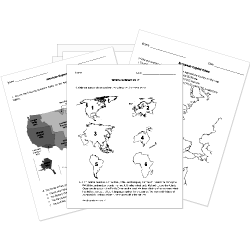 You can create printable tests and worksheets from these Economics questions! Select one or more questions using the checkboxes above each question. Then click the add selected questions to a test button before moving to another page. are things you would like to have but do not need. Services are something one person does for another. The invisible barrier that prevents women from advancing in the workplace is known as what? If the demand is high the supply will be low. is the value of the thing you give up when you choose one thing over another. According to , the higher the price, the larger the quantity produced. A is someone who buys or pays for a good or service. What are goods and services offered by businesses? When you get your hair cut you are paying for a service. To bring things into your country from another country is called . A is someone who creates a good or service for others to buy or use. When you recycle paper, which natural resource are you helping to conserve? is what something is worth to a person. A type of economy where products, prices, and services are determined by the market, not the government is the what? What is the study of the way we use goods and money? The Law of Supply states that, "the the price of a good, the that the supplier should sell.